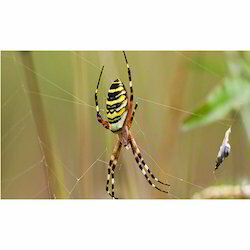 We are a leading service provider of Spider Management Services. Our company, Pacific Pest Management & Fumigation services, is a leading organization engaged in offering various pest control services such as Spider Management Services. These service uses are demanded by corporate and residential sector for Spider Management Services. Offered services are rendered by experienced & intelligent persons, who have a rich knowledge of this domain. Furthermore, our Spider Management Services can be customized, as per the requirements of the customers.